Cultural Historical Activity Theory (CHAT) was adopted to guide social learning in RESILiM-O. The purpose of the CHAT “project” therefore is to support social learning processes in various projects. The motive was to draw from the rich CHAT tradition a wide range of frameworks and social learning tools to assist with transforming practices towards resilience. A developmental component – that allows us to expand those meanings towards action. 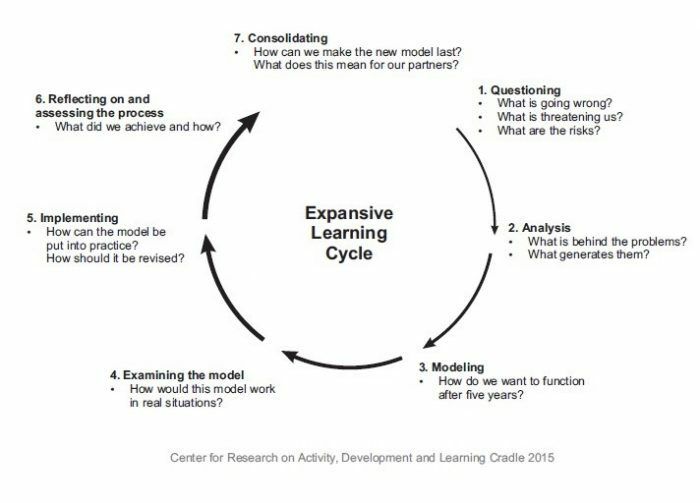 Practically, we have been using CHAT in different AWARD projects by taking advantage of a variety of learning tools that it offers such as the Developmental Work Research design (also known as the expansive learning framework) shown in the diagram.